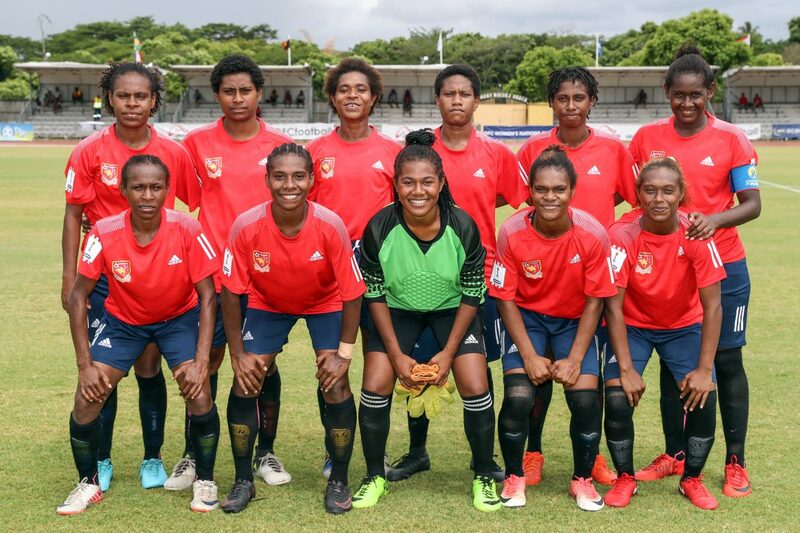 Papua New Guinea will be gunning for another appearance in the final of the OFC Women’s Nation Cup as they head up an all Melanesian semi-final clash with Fiji on Wednesday at Stade De La Roche in Mare, New Caledonia. Since 2007, Papua New Guinea have appeared in every OFC Women’s Nations Cup final, meeting defending champions New Zealand. Having qualified for the semi-finals with a clean sweep of their Group A oppoennts, they’re firm favourites going into the encounter against the Group B runners-up Fiji. These Melanesian rivals last met in the 2010 OFC Women’s Nations Cup where Papua New Guinea won 3-0 in a group fixture. Despite the statistics going in their favour, Papua New Guinea looked vulnerable in their final group match against Tahiti having to come from a goal down to earn a victory. Papua New Guinea coach Peter Gunemba was pleased his side finished top of their group to decide a favorable semi-final meeting with Fiji. “I’ve been watching a lot of the games and I’d like to play Fiji in the semi-final,” he said. Fiji have made huge strides in women’s football making their first semi-final appearance since 1998, when they finished fourth after a 7-1 defeat to Papua New Guinea in New Zealand. Fiji qualified from the preliminary stage on home soil edging Vanuatu, American Samoa and Solomon Islands earlier this year in Lautoka. Two big wins in Group B against Cook Islands and Tonga before a defeat to New Zealand saw Fiji advance into the semi-finals as runners-up. While they’ve looked impressive throughout this campaign, previous results indicate Papua New Guinea tend to have more of an advantage. Fiji have beaten Papua New Guinea just once with a 1-0 victory in the 2007 Pacific Games in Samoa. However based on current form the semi-final is set up to be a close affair as both teams are capable of making it to the final. Fiji coach Marika Rodu is having faith in the work they have had been putting into the team and said that his players are keen to create history by winning the semi-final. “History says that we haven’t beaten PNG in a long time, we want to change that,” he said. “What better time it is we have a good pack of girls that can change this history. “It’s a matter of paying attention to the details of our game, believing in the philosophy and the vision of football we want to bring across. “These girls have bright futures ahead of them, most of them 16 and 19. In two previous meetings, Fiji have only beaten their opponents once before back in 2007 at the Pacific Games in Samoa.